Today was a day for clarity. The rain stayed away, and thus we got a clear steer of who in F1's vastly changed landscape this year has got it right, and who less so. Given this the Malaysian Grand Prix felt a lot like a portent: the Mercedes was markedly the quickest machine out there, as expected. But of the two Lewis Hamilton was emphatically the one on top, which was less commonly expected. Certainly not to today's extent. It was one of those days wherein one guy had the legs of everyone else, and eveyone knew it. Within a couple of corners pole man Lewis had metres on the rest, who were led by his team mate Nico Rosberg. At the end of the first tour he was already two seconds down the road. And in the following laps it went up 3.2, 3.9, 4.3... Already this was all over barring reliability. Given the team's partnership with Petronas, in an appropriate place it was a towering performance. By the end Lewis completed his rout of Rosberg and of the rest with his second-placed stable mate some 17.3 seconds away, and did so seemingly with much in hand (the graphics on the TV feed indicated that he had plenty of fuel aboard for the most part). And as a coup de grace he set the fastest lap of a 1m 43.0 with three tours left, either out of boredom or to underline his superiority. Whatever was the motivation, we got the message. And for all that he put a brave face on it, none would have got it more loud and clear than Nico Rosberg. Following a 2013 wherein there wasn't much to chose all-in between the two Merc pilots, and a set of new regulations for this campaign anticipated to suit his cerebral approach, as well as with a quick set of wheels, he and his fans had much to look forward to. Now - after our first direct face-off of the season - a few expectations are being furiously recalculated. 'He was a bit too quick today' said Nico afterwards economically of the guy across the garage. Things may well change but it was one heck of an opening salvo from Lewis. We also today received our first sense of the race day competitive order in the Mercs' wake. As hinted at in Melbourne, the Red Bull now looks the best of the rest, and Sebastian Vettel demonstrated not for the first time that he's not all about the car, clinging desperately to the Mercs' coat tails for a lot of the distance, indeed getting close enough to Rosberg to keep him more than honest, on his way to third place. The RB10 - particularly with Renault by consensus with a steep learning curve before it - will be a contender this year; increasingly so as the season goes on. Daniel Ricciardo too showed as in Melbourne that he's much more than a lackey, by passing team mate Vettel at the start and then, having been passed back, running in fairly near proximity to him. He also showed that he's not cowed by running among the haughty names at the front by coming out on top after some robust battling with Fernando Alonso. But it all unravelled for him before the end: in what was intended to be his final stop he left the box without the front-left wheel attached. By the time he'd been wheeled back and had it put right he'd lost a lap in effect. Then his front wing came off. Then he got a penalty for the unsafe release. Then he retired... And then he was thanked with a grid drop for the next race too - another legacy of the unsafe release. The stewards' actions felt a lot like kicking a man when he's down, but then again we should think back to Mark Webber and the incident in the pits at the Nurburgring last year, and why we were so keen for draconian punishments to be brought in for such situations. Sadly for Ricciardo whatever is the case, as things stand two fine drives in 2014 have converted into nil points. Fernando Alonso as always pedalled hard to get his car into fourth place, prevailing over the about as impressive Nico Hulkenberg late on after a fine scrap. It came about as Force India went for a two-stopper while Alonso and Ferrari stuck to the more standard three. We know from testing that the VJM07 is kind on the Pirellis but I wonder today if the team was guilty of taking a logical point to an illogical conclusion. The two-stop didn't seem to do a great deal for Hulkenberg and he lost seconds per lap when the tyres got old. None more so than when Alonso closed and passed in the closing laps. With a more standard approach fourth place might have been his. And as if to emphasise the lie of the land on the power units right now, in the top nine at the finish only the mighty driving talents of Vettel and Alonso breached the Mercedes clean sweep. It was a day for laying down markers. 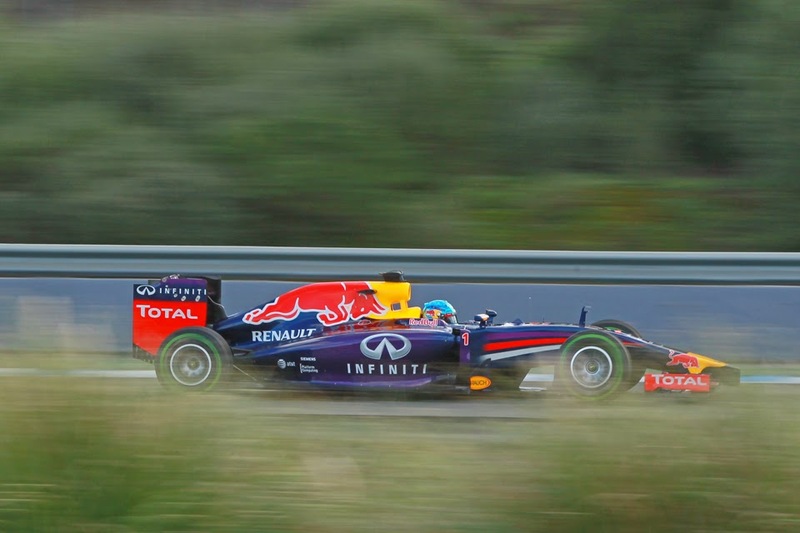 Particularly within teams: Vettel passed Ricciardo early in the race as mentioned. 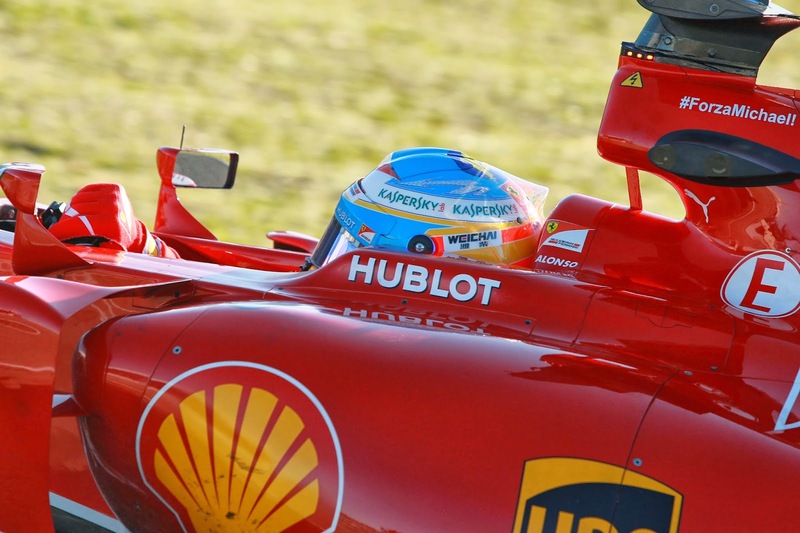 Alonso firmly rebuffed an attacking Kimi Raikkonnen on lap one. Jenson Button passed the fast young Kevin Magnussen early on too (though the Dane's front wing was damaged at the time). Lewis and Nico we know about. But probably the most noteworthy contretemps was at Williams. The two cars came home in unison in P7 and P8. But just before the end from perhaps the most unlikely team, one that virtually has never imparted a team order since getting burned by one in Brazil in 1981 - and almost with an air of cruel irony - advised Felipe Massa that 'Valtteri is faster than you'. 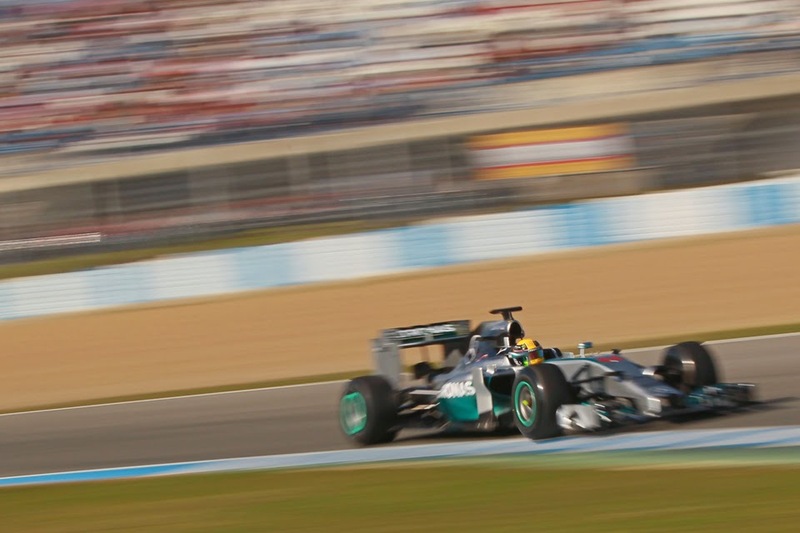 Massa though did what he didn't in Hockenheim in 2010 and dug his heels in, and they finished with him ahead. Both drivers of course differed afterwards in their interpretation of events. Williams will have to handle this one delicately. Not that team orders were ever going to be an issue for Mercedes today; Lewis made sure of that one. Nico Rosberg still leads the drivers' table, indeed he today extended his gap over the next guy, but his position must all of a sudden feel a whole lot more shaky. In 2014, Lewis Hamilton will take some stopping. As a unashamedly massive Lewis fan, this race was fantastic to watch. Hope his run of form continues, I think he'd be a popular champ after four seasons of finger boy. Still, there's gonna be some form of challenge coming from Red Bull, that much is obvious. The only question is, when will they have the legs to win? Are we in for a 2009 scenario with Merc running away with it before getting reeled in by the Bulls? It's going to be fascinating to watch! Great stuff mate, nicely written!